‘Eggciting’ Easter Events taking place on Exmoor…. The unspoilt beauty and unique ruggedness of Exmoor National Park is an amazing sight all year round. But we do feel spring is a fantastic time to visit Exmoor, as you can also enjoy the colourful array of spring flowers in bloom and newborn lambs grazing in the surrounding fields. 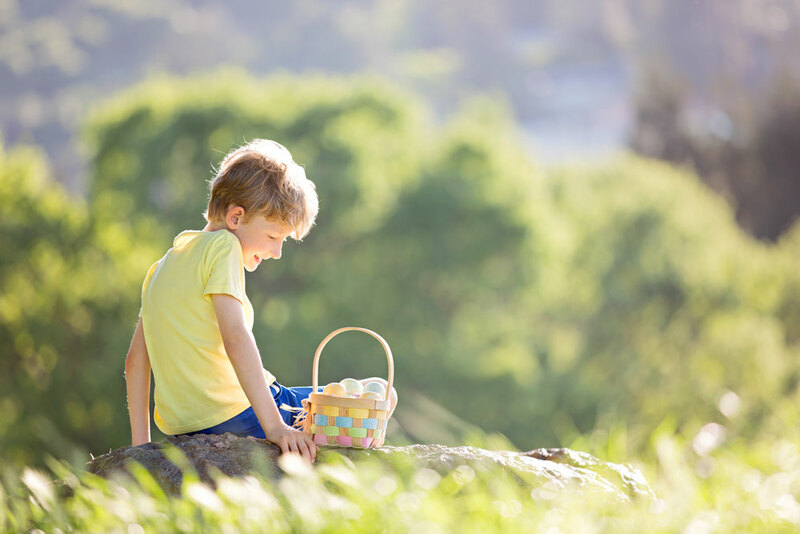 Over the Easter holidays, there are also plenty of ‘eggciting’ events and activities taking place throughout the region, close to our holiday cottages and homes on Exmoor, both in North Devon and Somerset. View below, just a few of our favourite suggestions. We’re sure they’ll provide hours of fun, whatever your age! (And please let us know if we’ve missed any). There are plenty of Egg Hunts taking place at various National Trust sites over the Easter weekend. There is no need to book, you can just turn up between 10.30am to 3pm. It’s £2.50 per child (and where applicable, normal admission applies). Watersmeet - Starting at Watersmeet House, follow the woodland trail along the winding river to claim your prize. Heddon Valley - Start at the garden behind the Hunter’s Inn, search for clues along the river, through the woodland towards the sea to claim your reward. Dunster Castle - The Rabbit’s Tale. Solve the clues to win your prize. Follow the clues for an egg-citing quiz around the zoo for a small prize. In addition to their usual activities, visitors at The Exmoor Pony Centre can play an Easter Quiz Trail , where a chocolate reward can be claimed if you answer all the questions. Easter Sunday Fun Day - with lots of free fun activities for the kids. Fares do still apply for train rides. And still hunting for the perfect Exmoor Easter cottage? Check out these Exmoor self-catering holiday cottages below that still have availability some Easter offers throughout the Easter holidays.But hurry, they are going quick. Don't miss out on booking your favourite cottage for Easter. Ford Hill Cottage, Kentisbury (sleeps 6): This three bedroom cottage is immaculately furnished throughout to offer high quality accommodation, with a games room on the edge of Exmoor and within easy reach of the North Devon coast. South Patchole Farm Cottage, Patchole, near Kentisbury (sleeps 8/9): A delightful 4 bedroom traditional farmhouse set on a working farm provides an excellent choice for the whole family to enjoy a relaxing Easter break, close to Exmoor and North Devon’s beaches and family attractions. Leys Cottages, Withypool: The two sister cottages, Lower Leys (sleeps 4) and Middle Leys (sleeps 6) both welcome dogs and ideally situated within walking distance of Withypool, a lovely village in the heart of Exmoor with a great pub, charming tea rooms, well-stocked village shop and some excellent walks.